Elise Hu a restless person who works as a journalist at NPR. 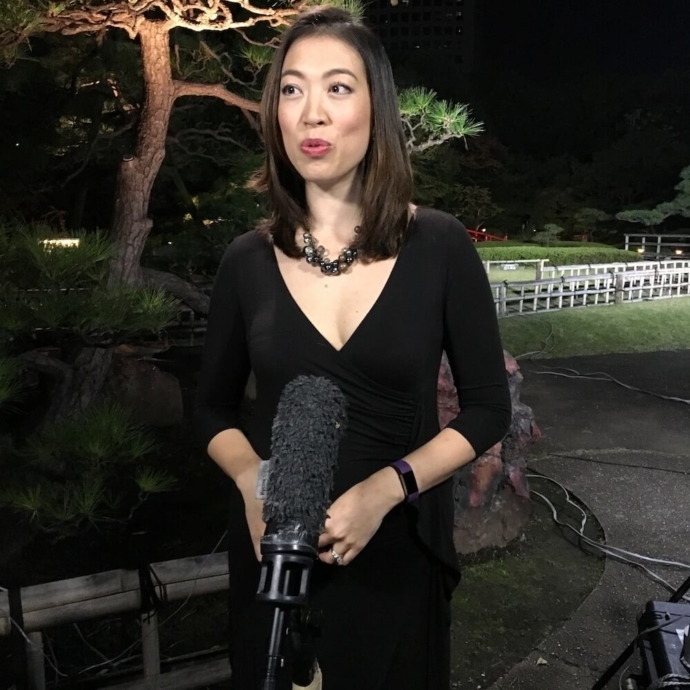 She is currently based in Los Angeles, hosting and producing a video show on the next frontier in human evolution, Future You with Elise Hu, and fill-in hosting radio programs and pods like “It’s Been A Minute.” Previously, she was the network’s founding Seoul bureau chief, responsible for coverage of the Koreas and Japan, and filing from a dozen countries in Asia. Elise joined NPR in 2011 from The Texas Tribune, a non-profit digital news startup in Austin that she helped launch after many years in television news. She is an alumni of the University of Missouri-Columbia’s J-school. A mom to three girls, she spends most of her mornings doing other peoples’ hair. This is dependent on geography. If I’m in Texas, it’s the 12 pack of flour tortillas from Taco Cabana, with queso. If I’m anywhere else, I go with fries dipped in an original chocolate Frosty. When I had trouble making a career decision a few years ago, our resident social science correspondent gave me advice that’s backed by research: When you make work decisions, use your heart, and when you make life decisions, use your head. The rationale is, your best work will be driven by your passion, so caring about it a lot means the most. But in life decisions, making emotional decisions can be counter-productive because our feelings are often temporary and the decision often affects our relationships, sometimes in irreversible ways. I always, always, wish I could spend more of my time reading and writing for pleasure. Which is PRETTY self-indulgent, considering I’ve designed my work around basically just reading and writing what I like.